There are many ways people are giving away their free money. Instead of that they need some attention and time from you to their content. Further if you wish, if the content is suitable and standing on your criteria, might you can go for it and gain that thing, for that they will get income. Expecting this thing, there are many sites building daily and running on the basis of ads’ revenue. You might already have experienced or heard about those sites which give you earning for visiting their ads content. Same way, there are many tactics and strategies available from which visitors get earn for their time and effort. Some sites give away their 90-95% ads’ revenue to their users for providing some useful information to their sites, which called “Content” (Like Bitlander.com , Bubblews.com etc.). By the way, Bitlander.com is the only site, which pays their users Bitcoin for their content. As you are a Bitlander user, probably you might have some knowledge on Bitcoin or about Crypto Currencies. Bitcoin is growing up rapidly, many of us involving unknowingly with this crypto currency. It’s a universal currency. You can earn or trade from anywhere in the world, you need not to pay any taxes or other regulatory charges for any kind of transaction. The reason of rapid growth of Bitcoin is many large organisation, companies started accepting this crypto currency as a payment for their goods or services, in large scale. Day by day the number of accepters is increasing all around the world. But, as the supply of Bitcoin is constant, the value of Bitcoin (exchange price) is going higher than present, though ups and down is there, but the future of Bitcoin is in bright area. As all currencies have decimal value, it also has. The smallest fraction of Bitcoin is Satoshi. 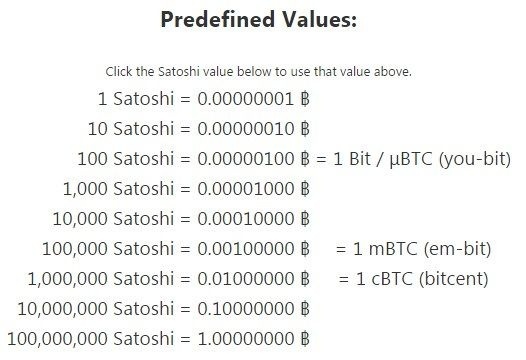 1 Satoshi = 0.00000001฿ , 1000 Satoshi = 0.00001฿. You can check the complete Predefined values here. Let me come to the main topic. Now I am going to talk about on “How to earn Free Bitcoin”. Please, note that, freely means, there is no scope to invest your money, here you need to spend your time and energy only. Bitcoin Faucet is one of the processes to give away free money to the visitors. There are many companies; sites are available who are running “Bitcoin Faucet Game”, from where visitors, users can get some free money visiting their site and playing their games. Almost all sites pay in Satoshi. These Faucet Game sites offer variety of game to play. Some offers, “Spin the Wheels” game, “Scratch” game or some design their own game. Like, FarmSatoshi has their own game design, which is very interesting and capable to keep their users attached most of the time with their site. They pay instantly. You can try this out too. By the way, for all these, you need not to be a good writer or a creative thinker. Just your time and hard-work needed. But before trying this, I suggest you first create an online Wallet to store your earning. I don’t believe blindly on any site only because of they are paying from many days, and keep my all hard earning in their system only. Hence, to store your earning safely, just open an account in Xapo who’s wallet are able to receive small amount in Satoshi. Personally I have a wallet in Unocoin (a trustworthy Indian Bitcoin Service provider), but their system doesn’t recognize small amount of transaction like 10000 Satoshi or too small like 500 Satoshi. So I opened another wallet in Xapo. It doesn’t take much more time. When I will store enough money there, I will transfer them to my Indian Wallet (i.e. Unocoin). At present I am storing all my earning in Xapo only. If you have jumped and started reading here, I suggest please read the above paragraph before of this (i.e. Store your Earning Safely), because without your Bitcoin Wallet Address you are not able to earn anything. If you have gone through and done a place to store your money, then go through the next step. As I have mentioned above about the “Bitcoin Faucet Game”, I am going to provide you some legit, trustworthy and big companies’ addresses here from which you can really make a twist in the career of Your Online Income. Averagely they pay small amount, but there is no limitation to play their game and stop earning from their game. You can constantly play their Faucet Game and keep earning constantly. Yes, that’s true. Nobody can stop you from earning huge. These all sites never ask you for any kind of investment from you, only they require lot of attention from you. If you are a hard worker person and having strong willingness to gain much more “free earning”, you must jumped into this. Even you need not to register in each and every site with all your details; you just only need to put your Xapo wallet address to these sites and start earning. WAIT! Copy your Bitcoin Wallet Address From Xapo and be ready. Click one by one all these 13 sites; paste Bitcoin Wallet Address in their specified place and start playing game. They pay, randomly; you can get 250 Satoshi or 1000 Satoshi, anything. Clicking on the LIST you can redirect the page where they listed as follows or you can go simply one by one by clicking them simultaneously. 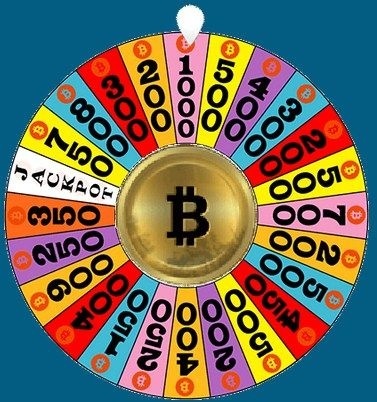 Free-Bitcoin - Just spin the wheel, earn the Satoshi and claim. Every 5 minute you can earn an amount between 99 to 999 satoshi. The Average earning per chance is 324 Satoshi till now or you can say 324 Satoshi/5 Minute. CrownFaucet - Just fill the captcha and claim your free amount. In every 10 minute you can earn between 100 to 15000 Satoshi. The Average earning per chance is 275 Satoshi till now or you can say 275 Satoshi/10 Minute. StarsBit - Another spin and win Faucet is this. You can get between 99 to 999 in a gap of 3 minute. The Average earning per chance is 271 Satoshi till now or you can say 271 Satoshi/3 Minute. CoinCollecting - You have to scratch and win your reward from this Bitcoin Faucet Game. You can earn an amount between 66 to 999 Satoshi in every 10 minutes. The Average earning per chance is 458 Satoshi till now or you can say 458 Satoshi/10 Minute. GoldsDay - Another Spin the wheel and get your reward game. But you can earn huge here. Minimum earning is 150 Satoshi, but the highest earning also possible which can give you 500,000 Satoshi. You can play again and again in every 10 minutes. The Average earning per chance is 387 Satoshi till now or you can say 387 Satoshi/10 Minute. MillionSatoshi - Just fill the captcha and get your reward between 125 to 1,000,000 Satoshi. You can play the game again after 10 minutes. The Average earning per chance is 501 Satoshi till now or you can say 501 Satoshi/10 Minute. Gold Faucet - Every 5 minutes you can earn between 100 to 10000 satoshi, after doing simple captcha filling. The Average earning per chance is 408 Satoshi till now, or you can say 408 Satoshi/5 Minute. Free Crypto Coin - You can play this Bitcoin Faucet Game after 1 minute interval and earn between 50 to 300 Satoshi. The Average earning per chance is 141 Satoshi till now or you can say 141 Satoshi/Minute. Spin & Win Online - You need to spin the wheel and get your reward between 150 to 50,000 satoshi in every 10 minutes. The Average earning per chance is 507 Satoshi till now or you can say 507 Satoshi/10 Minute. Dream Faucet - Its a Scratch and win your reward game. Reward can be between 125 and 50,000 Satoshi. The Average earning per chance is 514 Satoshi till now or you can say 514 Satoshi/10 Minute. Milion Satoshi - This Faucet Game gives you a free reward between 125 to 5000 Satoshi in every 10 minutes. The Average earning per chance is 300 Satoshi till now or you can say 300 Satoshi/10 Minute. CoinFaucet - They pay for nothing too, just you need to fill the captcha and claim your reward there. You can rewarded there between 100 to 10,000 Satoshi in every 15 minutes. The Average earning per chance is 427 Satoshi till now or you can say 427 Satoshi/15 Minute. SurpriZes - It is another game of Scratching the card and getting the reward. Every 15 minutes you can win reward between 225 to 500,000 Satoshi. The Average earning per chance is 523 Satoshi till now or you can say 523 Satoshi/15 Minute. Let me confirm you another thing. As soon as you finish the game and hit the claim/withdraw button after completing the Captcha test, a Message will be shown which indicates that “…. Satoshi was sent to your ePay account”. Don’t be surprised at all. As you need not to provide all details of you in any of these above sites, they just pay to your “Wallet Address” on which an account will be automatically created in ePay site. Click on the ePay link from any from the site after completing the game and captcha, you will be redirected to your account in ePay, which is another safe store to gather your small earning from all these 13 sites only. If you are not been redirected to the page, click here on and log in with the Same Wallet Address you put in all 13 sites to earn. Provide your all details to complete the account there. Form ePay you can withdraw your earning to your Xapo wallet immediately (instead of a 10K Satoshi charge), though their system will automatically withdraw your money to your specified wallet weekly with a very tiny charge (i.e 365 satoshi). 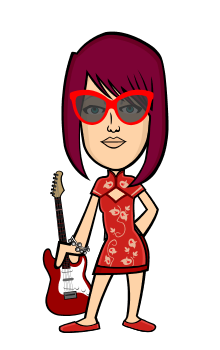 So you need not to worry about your earning, just start playing those game and see pilling your money in your account. If you run all the Faucet/Rotator timely and constantly for just one hour, you can earn at least 44,130 Satoshi. If you spend 5 hours daily and play all the Faucet Game timely, you can earn at least 220,650 Satoshi. Higher limit is depends on your energy and ability and also on your luck. Your Luck and Hard-work can set your earning higher and higher than normal. If you have further queries and doubt drop your note in the comment section, I'm here for you. Wish you all happy earning. All this can be done on Local bitcoins and Coinsecure - Indian exchange sites! great tip but i think theres more money here. Ya, @ako-eto Simultaneously those are less earning, but constant and cumulative earning can make a bigger impact in your wallet balance. such great information share with us. this is very useful information for who are interested erring income from online. Live Stream, Play and Earn In Kumu!